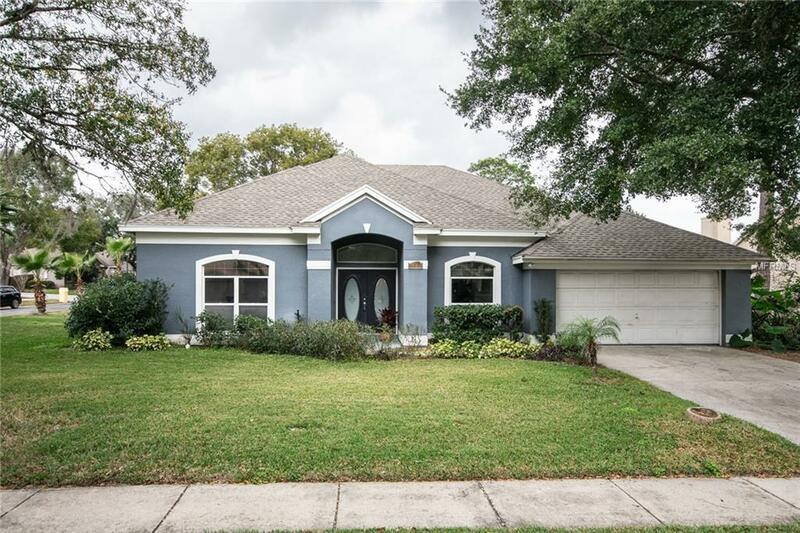 Solid 4 bedroom, 4 bath pool home, with wood burning fireplace, on large corner lot in gated community of Sweetwater West, looking for new family. Split floor plan with pool bath access. New Roof in 2016. New dark laminate and tile flooring throughout. Freshly painted. Skylights above family room make it light and bright. Open concept kitchen and family room. Pocket sliders in family room add space for entertaining directly into the screened pool area. Fabulous in-ground pool with bubbler-type water feature. New pool pump in 2018. Large master suite with space for sitting area, and shared walk-in closet between separate his and hers bathrooms. Come see and make this house your home! All measurements approximate and should be verified by prospective buyers. Additional Lease Restrictions Per Hoa Any Homes Purchased in Sweetwater West After 2014 Cannot Be Leased. Listing provided courtesy of United Real Estate Preferred.